The New York Times published two apparently unrelated articles over the weekend which address questions raised by the rise of digital content creation and distribution. One was an op-ed piece in the Saturday paper by author Mark Aronson about the challenge of collecting the permissions necessary to include copyrighted material in enhanced ebooks. 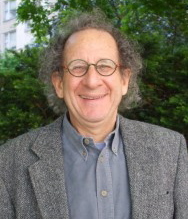 On Sunday, the Magazine published a piece by Randy Cohen, “The Ethicist”, about the rights and wrongs of downloading a pirated book file in a situation where the file’s acquirer had already bought and paid for a copy of the book presented in the file. These are both thoughtful pieces to which I hope to add some useful observations. Aronson’s piece elaborates on the challenge facing authors and publishers who want to include useful material in enhanced ebooks, particularly for non-fiction. He is an experienced non-fiction writer who knows about the challenge of collecting permissions for material in his books. He’s right when he says that the problem really escalates for enhanced ebooks. Aronson’s focus is on material from the “archives of the world’s art (now managed by gimlet-eyed venture capitalists” and other material controlled by museums and academic libraries. We have lived for a long time with a very cumbersome permissions world. To use a picture of a great painting or a museum’s invention or artifact requires painstaking individual requests for permission and negotiations (usually) by the author, who is charged by contract with delivering this material with permissions already secured to the publisher. The usage matrix has been pretty well defined for print: what kind of book; what size printing; what langagues or territories affected; what number of copies to be printed, but each licensor converts that data into its own pricing policy. The amounts of money charged are collectively of great value to the licensors. Viewed on an individual project basis, though, they are sometimes painfully high for the author or publisher but small enough for the licensor that lengthy negotiation that could lead to concessions based on mutual self-interest occurs relatively seldom. Along come ebooks and enhanced ebooks (and, for that matter, web presentations of material in books which might be for promotional purposes.) In many cases, publishers have simply foregone the illustrated material for the digital presentation because securing the rights is either too painful or too expensive a process. The process that publishing has lived with in the print world needs to be fixed, says Aronson, and then we can move on to do something about how this can work better for digital content delivery as well. So, far, I agree with him. It is the specifics of his remedy with which I’d suggest some modification. CCC is positioned better than any other entity to attack this problem, but it’s much harder to implement such a simple solution for printed books. The differences in value of different copyrighted material can be vast and the rightsholders know that. The owners of the most valuable material are going to be reluctant to license it for an “average” fee and there is nothing the AG or AAP or CCC could do to compel or persuade them to act against their own interests. Rightsholders know that when a book is created and printed, many tens, perhaps hundreds, of thousands of dollars of investment are involved. They want their fair share which, from their perspective, would be “what the traffic would bear”, not an arbitrary, standard amount. In the case of enhanced ebooks, the marketplace is going to be much more challenging. There will be many more rights requests because relief from the minimum investments in printing will put far more creative works into play. And at the same time, the pool of potential licensors is growing by leaps and bounds as we move toward a digital camera in the hands of every cell phone user. 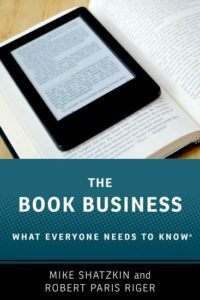 Because the barriers to entry for ebooks, enhanced or otherwise, are so much lower than for press-run books, these will reach a point (if they haven’t already) where the cost of the transaction — reaching the right person, connecting with them, describing the potential licensed use and negotiating the price — is going to be more than it is worth, regardless of the licensing fee. And these costs will effectively be driving down the licensing fee. Imagine if each bar had to negotiate with each songwriter to put their tune in the jukebox. That’s a considerably less complicated problem than the one we’ll have with images and text licenses for ebooks, and still it can only be solved with a collective licensing solution from BMI or ASCAP, which deliver a service close to what CCC does for photocopying. So we see applying a hybrid similar to what Aronson describes, but with some nuanced differences. The future we’d imagine is for CCC to start gathering rights for a reservoir of content that can be licensed on a standardized basis for ebooks and web use, with the understanding that the fee for each individual use is going to be low enough that it wouldn’t have been worth the transaction cost on both sides to have negotiated it. The most valuable material would remain outside that reservoir (because the rightsholders wouldn’t agree to put it in) and would, therefore, be bypassed by most licensors when they put their products together. So if you hold your stuff out you can sell it for more each time, but you’re likely to sell it less often. Aronson’s explicit concern is that only the “most popular subjects” will be covered in enhanced ebooks under the present regime. The solution suggested here would probably appeal to the owners of material on the least popular subjects; those that are rarely licensed now and where anything that would encourage more widespread use would be attractive. It is also important to remember that digital presentations have a capability print doesn’t: they can deliver the reader directly to the digital doorstep of the licensor with a link. If you run an obscure museum with an obscure collection of art and artifacts, a linked licensed image could deliver you traffic and customers very effectively. A program such as what we’re envisioning here could make the link a standard component of the licensing arrangement. The bottom line on this story is that I agree with Aronson that we need a new model for permissions in the digital world or important creativity and commerce will be choked. But we have to start with the pool of material that is of the least individual value in order to start at all. As that pool grows and is used increasingly, the incentive will grow for rightsholders to place more and more of their material in it. The question arose because somebody who bought the 1,074-page new Stephen King novel didn’t want to carry it around on a trip and found the publisher had not yet issued an ebook. This person, who says they “generally disapprove of illegal downloads” felt they were okay in this case because they had previously bought the book and the publisher wasn’t facilitating their need for a digital copy. These dirtbags now have a champion in Randy Cohen. Go on, help yourself. The author and publisher have been paid once and don’t need to be paid for another edition of the same book. While you’re at it, rip off the book club and the mass market paperback editions. Cohen’s exculpation of this morally challenged idiot buying an e-book from a pirate site is the equivalent of condoning the purchase of black market goods from a fence. Does anybody know what Talmudic tractate he consulted to justify stealing – to describe it as “illegal” but not “immoral?” If so, we invite you to submit chapter and verse. Personally, I find the characterization “stealing” overblown (obvious to me, but I might well be provoked to explain more by commenters to this post) and the distinction between “ethical” and “legal” perfectly comprehensible. I see this as a digital transition problem (it won’t be long before an ebook edition is available for every book for which a print book is available) and, if the author is suffering in this case (and I’m not sure there’s any demonstration here that the author is), it is partly the fault of the publisher whose policies haven’t matured sufficiently to deliver a cash customer what they want to buy. Developed, articulated policies about digital licensing are a much better way to protect publishers’ interests than lawsuits against marketing channels. The next decade or two will see the relationship between digital and printed content dramatically recast. Publishers can embrace that relationship, or watch it—and themselves—fall apart. I’d say that the publisher and author would be standing on much firmer ground to complain if there were a stated policy about the digital rights that are conferred with a print purchase. The mere act of creating this policy would force a publisher to think through situations exactly like this one, which I really don’t think many have. Where we stand now is that laws and policies written before any of these issues were contemplated (or possible) are transparently inadequate and insensitive to current reality. As a guy who accepts the necessity of DRM specifically to discourage casual sharing that could seriously undermine the commercial basis of publishing, I’m on board with the idea that we in the industry want to steer people away from piracy. But I don’t think we’re going to win many friends, or many arguments, putting no policy in place to cover these situations and then villifying paying customers who try to address their own legitimate needs.